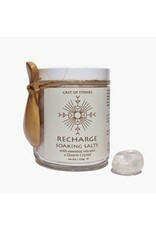 The Recharge Soaking Salt is used to energize and recharge your body. The included Quartz Crystal or the "Master Healer" stone has multiple benefits. Quartz Crystal purifies the mind, body, and soul allowing you to navigate through life feeling more balanced. 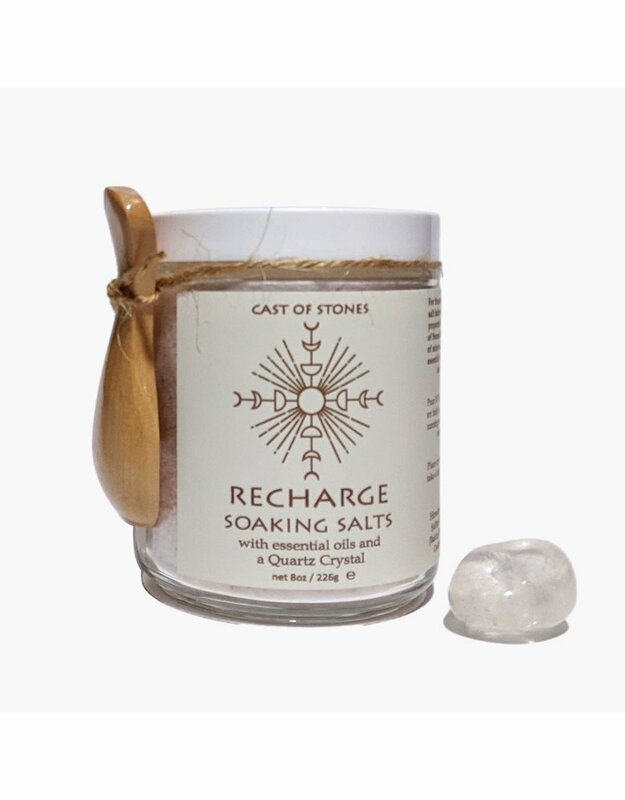 Ingredients: Himalayan Salt, Dead Sea Salt, Magnesium, Sulfate (Epsom Salt), Eucalyptus Oil, Lavender Oil, Cedarwood Oil, Sweet Orange Oil.